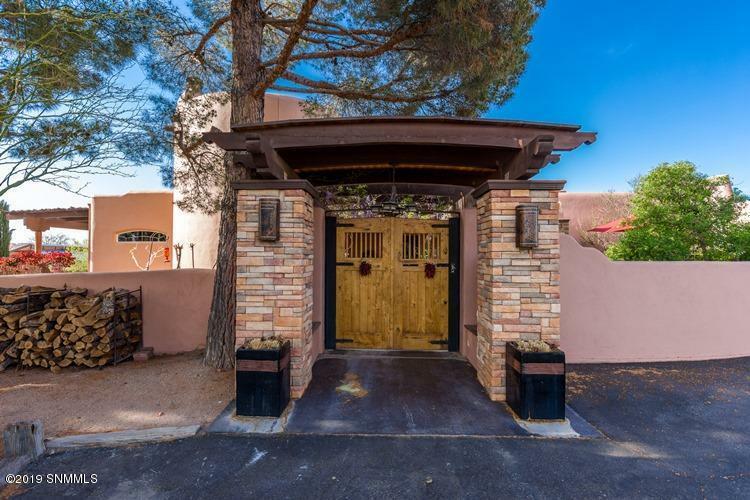 EXTRAORDINARILY BEAUTIFUL Southwestern home, conveniently located immediately south of Memorial Medical Center and the NMSU Golf Course. ELEGANT 3,821 sqft home with 4 generous bedrooms, studio/office, 5 bathrooms, 4 fireplaces, 3 car garage, and air-conditioned workshop. 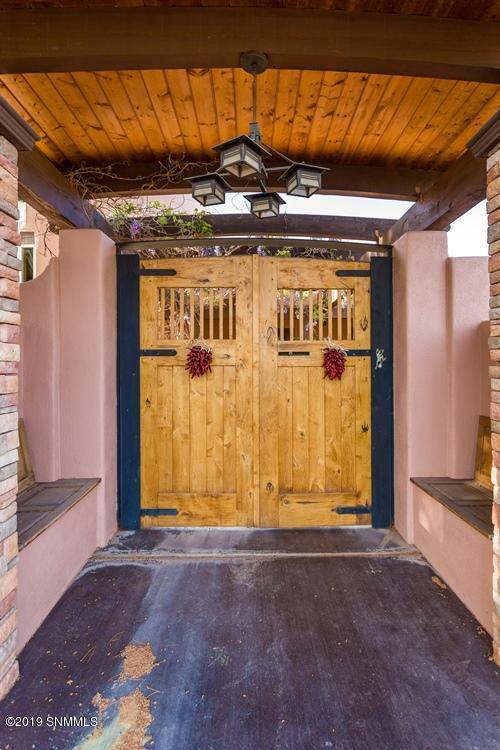 Saltillo tile flooring and superb tongue-in-groove and wood-beamed ceilings. Top-of-the-line stainless steel Kitchen appliances. Unique temperature-controlled wine room. The 2nd bedroom w/ensuite bath serves beautifully as a 2nd Master. Lavish update of the two largest bathrooms w/superior tile work, high-quality glass doors, heated floors and towel racks, and Toto Neorest toilets. Splendid outdoor entertainment area, w/15'x40' in-ground pool, large hot tub, generous covered sitting area, and custom kitchen. 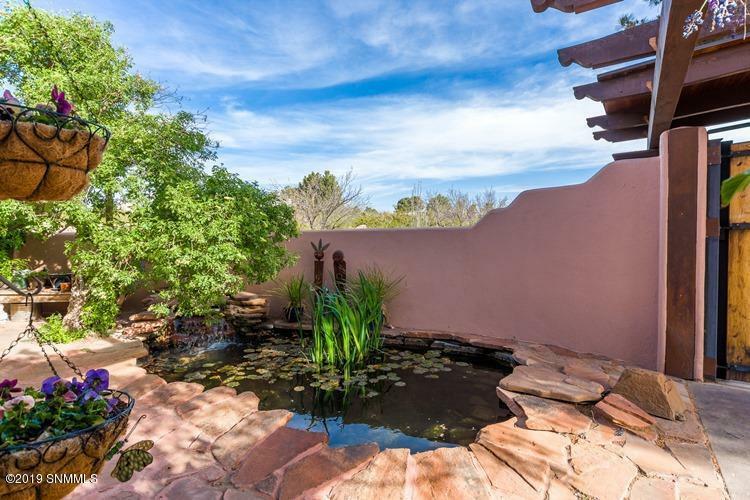 Note the Koi pond and cozy garden sitting area in the entry courtyard. Great location! 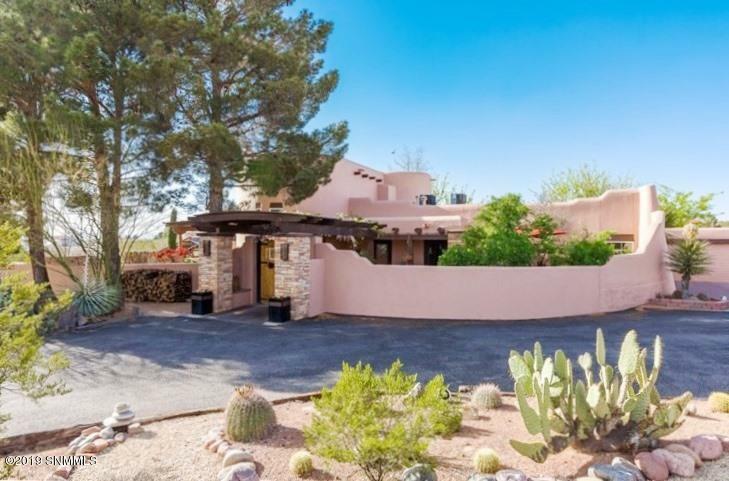 Only steps from great desert walking trails, this elegant property rests on 1.36 acres just south of town, quite close to medical facilities and NMSU.